Las Vegas. No one ever believes us when we say we're going on a business trip. SAS-70 / SSAE16 Type II certified datacenter facility with redundant power and HVAC systems. Geographically safe of earthquakes and floods. High security facilities with multi-layer access control and video monitoring. Multiple connectivity options from a huge selection of carriers. 24x7 access to equipment, with 24x7 remote hands services. Services. Available services in Las Vegas. We also VPS hosting and network services in New York, USA and Luxembourg, Europe. Network. Fantastic West Coast & Asia Pacific connectivity. 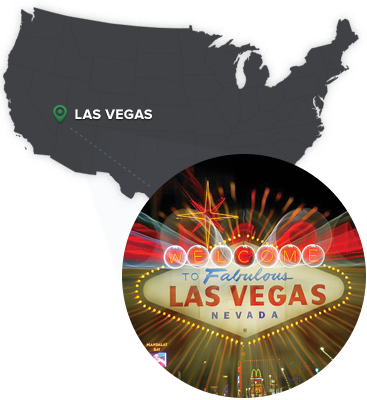 Our Las Vegas facilities network is powered exclusively by Brocade XMR and MLXe core routers. The network blend consists of Hurricane Electric, Cogent Communications, China Telecom (CN2), and private peering. Native IPV6 connectivity is also available.